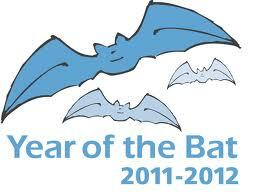 Words on Wings: Batty Speaks..
2011 is the International Year of Bats. So Ms.Batty is now gonna speak to the world! “Hey, am Batty, the bat. Black skinned, poor visioned and reserved, people call our kind “creepy”. Okay, we don’t “socialize” much. We keep to ourselves and are perfectly okay with it. Let me tell you a bit about us bats..
We fall under the order “Chiroptera” in the phylum “Mammalia” (that’s for the nerds J). This might interest you - we’re the only mammals that can fly. Buddy squirrel’s cousins can “glide”, but not “fly” like we do. We’re masters of the technique called “echolocation”. We catch our prey (which is mostly small animals, insects or fruits) with the help of echoes of ultra sonic sounds. It’s far above human brains (no offence there). And as if we aren’t unique enough (ehm ehm), the only blood-drinking mammals one of our kind – “The” Vampire bat. Isn’t that awesome? Okay, maybe not soo awesome, but still, if you can dream about hugging Edward or Rosalie Cullen, then why be afraid of our Vampy? (Star fact: Vampy thinks it’s an insult to fall under the same category as Edward. We think he’s jealous). But it’s not like he goes around drinking human blood like a Dracula. He prefers animal blood (looks like he met Carlisle somewhere). Also, we’re nocturnal. We are active at night and doze off in the morning. But humans don’t leave us alone. Our only hope was the Hindu belief where bats are supposed to be forms of dead ancestors and hence, we are protected at least around here. And now, they’re killing us. Cousin horse shoe bat’s line is nearly extinct. Even though we’re spread over all continents except Antarctica, there are only very few of us. They say there are around 1250 species of our kind, but most of them are on the verge of extinction. Just because you’re afraid of Vampy, why do you have to massacre us like this? How much ever "spooky" or "creepy" we might be, don’t we also own a share in nature? That's what Batty has got to say, the rest is up-to us!! !